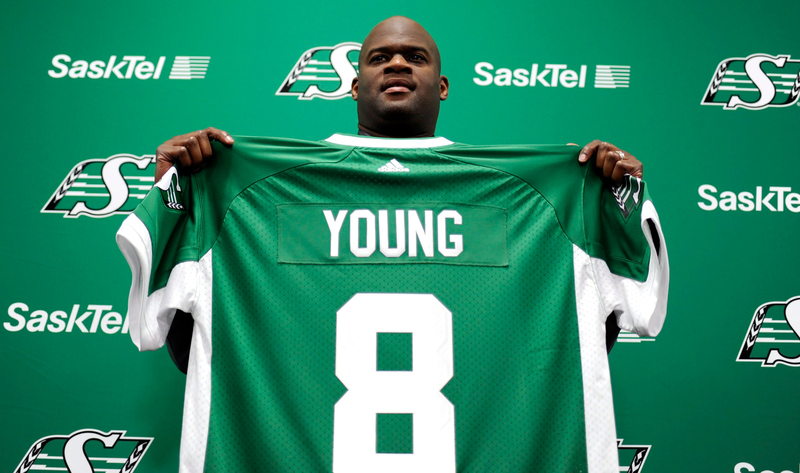 REGINA — The next chapter in the book that is the post-Darian Durant quarterback story has taken shape, as the Saskatchewan Roughriders officially announced the signing of free agent quarterback Vince Young on Thursday. “We did a lot of research,” Riders head coach and general manager Chris Jones said at a press conference Thursday. “We started looking at the guys that were successful in the last few years and he jumped out at us like a sore thumb. Young has been tied to the Riders for a few weeks after his agent, Leigh Steinberg, tweeted that the former Texas Longhorn was in negotiations with the CFL club. The 33-year-old spent nine seasons in the NFL after being drafted third overall by the Tennessee Titans in 2006. He was named NFL Comeback Player of the Year in 2009. Now, in attempts to revive a professional football career that’s been sidelined since 2014, Young will compete with at least five other quarterbacks currently listed on the Riders’ roster. “It’s competition. We’re early in the year,” said Jones. “Vince knows what’s in front of him. He’s not naive to the league, he respects the league. We’ve got good players and we’re trying to create competition at every position. In 50 career regular-season starts south of the border, Young completed 755 of 1,304 pass attempts (57.9%) for 8,964 yards and 46 touchdowns while adding 282 rush attempts for 1,459 yards and 12 touchdowns. He was named the NFL’s offensive rookie of the year and selected to the Pro Bowl in 2006. He was selected to the Pro Bowl again in 2009. Young’s popularity skyrocketed at the University of Texas, where his .938 winning percentage (30-2) ranks sixth in Division I history. 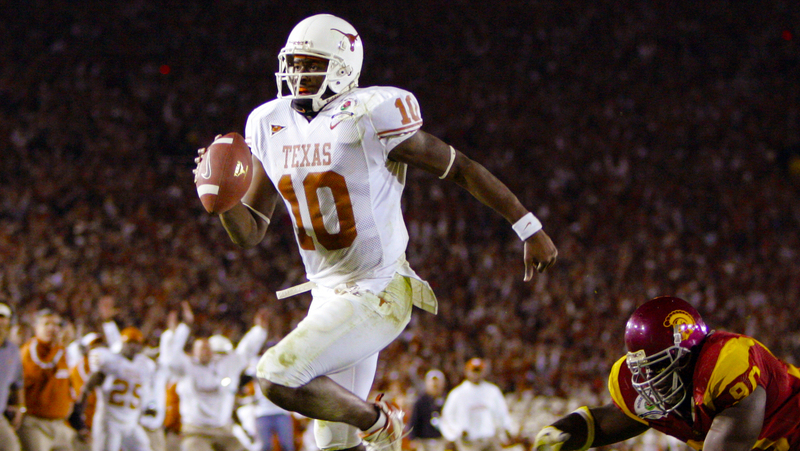 He was also named a finalist for the Heisman Trophy Award, coming second in voting behind running back Reggie Bush. Young joins the Riders’ starting quarterback competition along with 16-year veteran Kevin Glenn and several others, including Canadian Brandon Bridge. Since his aforementioned stint with the Titans, Young struggled to stick with multiple NFL clubs. From 2011 to 2014, Young spent a season each with the Philadelphia Eagles, Buffalo Bills, Green Bay Packers and Cleveland Browns but never saw any playing time with the latter three.